This is video is not recent (it's from 5 January 2005), but of course body language is timeless. It in, Alicia Keys is a guest on Charlie Rose's show and she sings him "Happy Birthday". 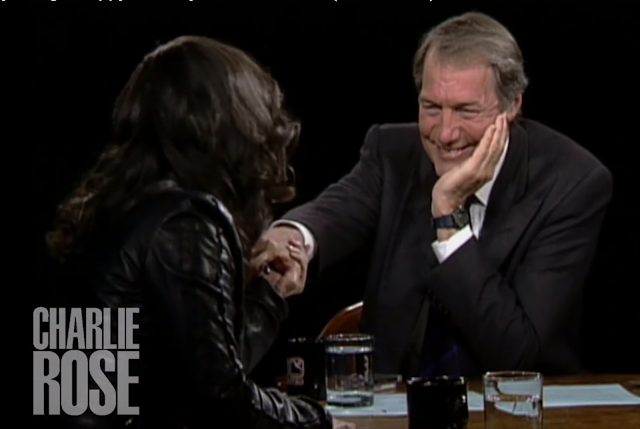 Note that both Charlie Rose and Alicia Keys both blush. They also both smile sincerely. If there is ever a doubt in your mind regarding whether a smile is truly sincere (aka Duchenne Smile) - always remember this: when blushing is present, the smile is ALWAYS one of sincerity. There are also two "Sincerity Amplifiers" present in this short video. In the context of a sincere smile - when a person is also singing - AND they're rocking back and forth (as Alicia does), this rocking display acts as a SINCERITY AMPLIFIER. Charlie Rose displays another variety of a sincerity amplifier. When a blushing person (with or without a smile) - is also touching their face (particularly with the PALM of the hand as Rose does) - this action also amplifies their sincerity. Nonverbal Communication Analysis No. 3820: Mr. Trump: "Who would you trust more, Angela Merkel or Vladimir Putin?" Nonverbal Communication Analysis No. 2818: Representative John Lewis: "Donald Trump Won’t Be A 'Legitimate President' "